On first glance, the story seemed to be one of an entrepreneur going rogue, whose behaviour ultimately forced the company’s other directors to eject him from his role as CEO. But the drama did not end there — it escalated. The startup’s VC investors launched a lawsuit against the CEO and subsequently applied to dissolve the company when it became apparent that there was no amicable resolution in sight. Or at least, that is what the plaintiff — Singapore-based blockchain startup Otonomos, represented by the board Dymon Asia, Fenbushi Capital and Manogaran Thanabalan — have claimed in their lawsuit and liquidation filing. Dymon and Fenbushi are also Otonomos’ preference shareholders while Thanabalan is the company’s current CEO (formally CTO). Otonomous’s business was to provide company incorporation, corporate governance and shareholder governance solutions powered by smart contracts on the ethereum platform. According to legal documents obtained by e27, Han Verstraete, the director and erstwhile CEO of the company is accused of siphoning off company funds — over US$410,000 — for expenses that could not be unaccounted for as well as for personal use. Withdrawing about US$13,000 cash from an ATM using the company’s debit card (and not accounting for it). Withdrawing about US$107,000 for unaccounted travel, hotel and entertainment expenses, with at least US$4,100 attributed to personal expenses. Transferring funds from the company’s bank account to his personal account, a majority of which he “falsely stated” as salary. Transferring part of the fiat money gained during a sale of the company’s crypto funds into his personal bank account. Diverting company funds and resources to his other company, Peerfinds.com. Spending US$120,000 of the company’s funds to advertise on a Hong Kong-based yacht company, Mandrake III. When Verstraete failed to make restitution for the unaccounted cash withdrawals or provide proper justification for these expenditures to the board — as well as pay for his ordinary shares — they terminated him from his post as CEO. Verstraete, however, remained on the Otonomos as a majority shareholder and director. He also had sole administrator access to the company’s web domain. Blocked access to Otonomos’ domain, which led to employees not being able to access their emails. Impersonating current CEO Thanabalan, by redirecting emails to his own account and interfering with an inbound client request. Failed to transfer access of Otonomos’ Coinbase account to the company. Sowed discord among Otonomos’ employees and shareholders by making false allegations via blog posts and emails. “In the face of this evidence, Mano now explicitly admits in his latest email to clients informing them of Otonomos’ pending liquidation that I never held crypto belonging to the Company in [my] personal name,” he said. He further claimed that he was always “amendable” to negotiations with the board.”The VCs were not even able to secure approval from their principals on the proposals they put before me and the other shareholders, scuttling any possibility of fruitful negotiations,” he said. Verstraete himself filled a counter lawsuit against Otonomos’ board of directors: in which he alleged that they had acted in an “unlawful” way that resulted in losses for the company and its shareholders. In a blog post, he claimed Christiaan Kaptein of Dymon intended to buy the stakes of another shareholder, Startupbootcamp (SBC), at a lower value using confidential insider knowledge. He also claimed that Dymon had promised Otonomos’ key staff more equity stakes if they “stayed loyal to the newly-installed regime” and that Thanabalan only agreed to take on the CEO position because he was promised more shares. In November, an extraordinary general meeting (EGM) was held in late November to work out a solution. The board and Verstraete had agreed to set pre-ground rules — one of which was that past events would not be brought up — and meet under the supervision of an independent third party. But according to the legal documents, Verstraete hijacked the meeting and began to make “spurious and false allegations” against the board, in the presence of other shareholders. Meanwhile, the company’s staff, which numbered at about 35, had soldiered on despite the ongoing litigation. But the disruption of the business had adversely affected their moral and about half left the company by November. In the same period, Verstraete requested a stay in the lawsuits so both sides could negotiate a solution “without prejudices”. But while the board agreed to adjourn their lawsuit, Verstraete backtracked on his promise, and instead sought arbitration. Verstraete’s lawyers sent letters to the board’s legal team, ordering them to abide by the original court timelines. This action resulted in Otonomos, which was already in the red, to bleed more funds; Verstraete’s allegations against the board in his Medium posts also resulted in a lack of business, which exacerbated the company’s debt. And as a result, Otonomos was unable to pay its employees in December or pay off outstanding invoices. This was despite Otonomos having money in its Coinbase cryptofund, the legal documents stated. The board could not cash out the funds because Verstraete still had control over its access and refused to give it up. Because of the mounting debt and impasse in negotiations, the board then decided to file to dissolve the Otonomos last week. In another Medium post published after the filing, Verstraete once again hit out at the board, claiming that — again — the board acted without proper notice or authorisation. Verstraete alleged that the company’s board of directors had “unilaterally” filed the application without the majority of the shareholders; Verstraete said he was only made aware of the application through his lawyers, who had conducted a court search. Otonomos’ clients were also not privy to the liquidation filing; Verstraete said many of them reached out to him to inquire about the company’s radio silence. Verstraete alleged that although he was no longer listed as a director, he was asked to co-sign a director’s authorisation with interim CEO Manogaran Thanabalan to liquidate the company. In order to do so, however, Verstraete’s lawyers advised them that 75 per cent of the company’s shareholders had to approve the process via a special shareholder’s resolution. Verstraete claimed the board of directors had disregarded this resolution and went ahead to file the liquidation application anyway. Such an act would be a breach of law, but Verstraete said the dissolution of the company would make it difficult for parties to build a credible court case against the board — unless there were witnesses. Verstraete claimed there are at least two witnesses involved with Dymon’s portfolio companies who would be willing to testify, but he provided no further details. 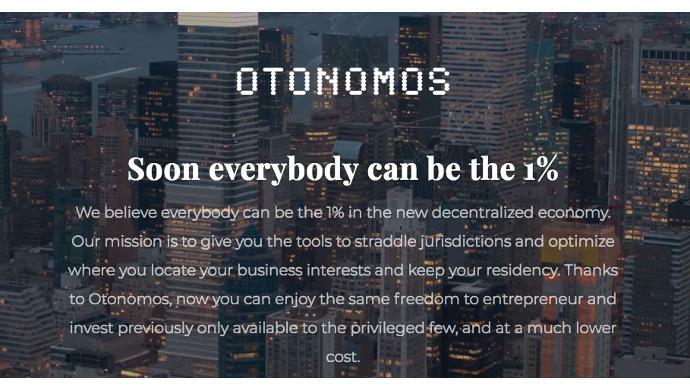 The post Board files to dissolve Singapore blockchain startup Otonomos amid lawsuits, public spat appeared first on e27.